Octane is accessible, progressive, modern and diverse. It's delicate at times, heavy at others. It has radio friendly ballads, aggressive rock, symphonic moments, classical elements, fusion, jazz, blues, and melodic beats. In other words, the album has a little bit of everything. The opening epic is on par with V's At the End of the Day. The ballad She is Everything is just as appealing as Snow's Carrie or Feel Euphoria's Shining Star. While V had great numbers and Snow was outstanding from the onset, this one starts out strong and keeps getting stronger through each track. It grows exponentially with every listen. In my opinion, it's the best Spock's Beard album to date. It might even be in company with some of the greatest rock albums ever made. It's on par with The Who's Who's Next, Rush's Moving Pictures, Pink Floyd's Dark Side of the Moon, and Kansas' Song for America. I cannot think of any higher praise. Suffice it to say, the extra time the band took in its production really pays off. If there was any question whether or not Spock's Beard could survive without Neal Morse, Octane is an obvious answer. It goes to show Neal's departure was really more of a blessing than a curse. When Neal left, we were honored with his Testimony, which I felt was a true storytelling masterpiece. We also got a respectable release from the band's remaining members. While it didn't receive the warmest welcome, I liked Feel Euphoria without the need for any push or prodding. Regardless, the times have drastically changed and fans should need less convincing. This time around, the Battlestar Galactica is not only dangerous, it's completely functional. It should have no problem standing the test of time all on its own. With the reactors set to full capacity, this album finds itself light years ahead of the prototype sent out on their previous engagement. Even so early in the race, this will definitely be the top contender for album of the year. It's usually hard to tell in the world of progressive rock, especially with all the miracles being performed today by bands like The Flower Kings, Karmakanic, and Pain of Salvation, along with countless others. It would be an extreme case of foolishness to count Roine and the folks from Kaipa out this soon. Yet, Octane is a hard-hitting heavyweight with all the class, conditioning, and compassion one could imagine. Even with a full year ahead, this one is prime to go the distance. I am so enamored with this release that while I write this review my hands are shaking, my knees are numb, and a horde of Goosebumps tickle my toes. I have been thoroughly walloped by this extraordinary album almost to the point of incoherence. At first, it was awfully hard to be objective. The only thought that keeps coming to mind was how awesome an album they have crafted. I've finally gotten my bearings back and as you can see, I'm no longer speechless. Something tells me I will still fancy this album far, far into the future. Hopefully, this isn't merely some glitch in the system and we'll continue to have our progressive rock prayers answered by Neal, Spock's Beard, and all the remaining rebels who fight the good fight each day in order to keep our music liberated. In the meantime, this should give us something to celebrate. Octane deals a striking blow to the opposition. With the evil Empire structurally in shambles, oppressed listeners everywhere can turn to Spock for salvation. In some ways, this epic follows the format of Healing Colors of Sound. Rather than one long song, this is really seven separate tracks that are part of the same thread. Nick does a tremendous job on this one between the singing, songwriting, and drumming. They all exceed my expectations and it's simply brilliant. No question Nick and the gang can write a cool epic. The intro is so potently passionate that it sends chills through my spine every single time. This ambitious and astounding piece is built on three parts: Prelude to the Past, The Ultimate Quiet, and A Blizzard of My Memories. The first two are instrumentals that are tightly bound together. The latter is an eerie ballad. This might be the best song Spock's Beard ever recorded. I feel this is Nick's best drumming, and Ryo's arrangements are unreal. Dave Meros and Jonas Reingold seem to be polarizing more and more towards one another. As for Al, his atypical treatment of the guitar is something special. He uses some downright interesting effects. Nick's voice, when it eventually prowls onto the scene, actually sounds a lot like Neal's. On the whole, this is marvelously mixed, refined, and sanded down until silky smooth. It's a real eye-opener. I need to try really hard to refrain from cussing when coming up with adjectives to describe its composition. In a nutshell, it's simply incredible. Mr. Morse, the man himself, even exalted much praise for this particular piece. Like the ghosts of Christmas past, we are taken back in time. In a daydream's daze, images float through our memories. This is slower and simpler than the preceding piece. It has the country twang of Stranger in a Strange Land. Not much more than an acoustic guitar and a subdued voice, it tells a story, leaving an impression that goes on and on. The Spock's Beard freshness lasts right through it. For some reason, Alice Cooper's School's Out seems to come to mind each time I hear this song. It also sounds a lot like Audioslave too. Never fear, this is no New Coke. 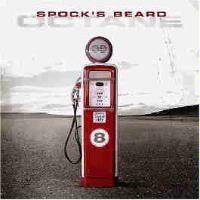 Chris Cornell and the boys from Rage Against The Machine would be highly impressed with how Spock's Beard took an award-winning concoction and radically improved upon its formula. Nick's phrasings on the bridge along with the patented sounds of Spock's Beard are totally killer. Not to mention, Al's axe successfully mimes Tom Morello's screeching effects. This starts with an instrumental entitled Strange What You Remember. It's menacing and spooky, yet somewhat similar to Genesis in its second era (you know, the one with Phil Collins). The tune turns classically progressive with flutes and violins. Then it metamorphs into one of the most heartfelt and engaging ballads I've heard since Shining Star. The second part called Words of Forever is bittersweet and in some ways very sad. If you're the type to get emotional, this could be a real tearjerker. I am quite impressed with the melodies and lyrics on this one. Al's solo in the middle is sweeter than the air after a rainstorm. This will get many replays as I'm a sucker for a good ballad. The Monkees and The Beatles unite for a menagerie of retro rock. After much material made the cutting room floor, it's good to know they did not leave the raving sixties all behind. It's not your average golden oldie. Some of the themes make their way back in this instrumental. The violins and synthesizers float like spirits into a vanilla sky. It's not that long, so not much else to report back. Like the opening, this is part song, part instrumental, but here the song comes first. The reprisal of the main theme is ingeniously refined. The words are subtly changed while the melody is skillfully nipped and tucked. No scars are visible after this careful surgery. While it finishes as an instrumental, it has a way about it. I don't know what it is, but I get choked up with a lump in my throat every time I hear it. Finally, they have done the impossible. They have made a song that's better than At the End of the Day, and they actually did it without the multi-talented Neal Morse. Everything is in tip-top shape, yet it's the songwriting that's probably its strongest point. The lyrics come a very close second. Their choice of words, and the manner in which they are sung really gets the signal across. The epic ends on a creepy note, and there is a profound pause before heading into the remainder of the album. Spock's Beard hits the sciatic nerve, stunning the listener, and leaving them literally frozen in awe of their abilities. This begins with the aviary chirps from V's Revelations, but then broadsides you with a deep and driving beat that's both witty and amusing. This break between pieces is a bold and innovative move that's totally unexpected. Did I forget to mention that it's purely instrumental? This could easily reside on one of Nick or Neal's solo albums. It would have fit nicely on Day for Night. It's upbeat and uplifting pop that would put American Idol to shame. I wouldn't expect any wardrobe malfunctions. I also suspect nobody will be lip-synching this live. I really like Ryo's solo towards the end. Afterwards, Nick comes in on cue with impeccable timing for a flawless finish. This is the most interesting piece. It's quirky and crazy like the title track from Feel Euphoria. While that song may have caused some indigestion, this one is quite agreeable. Even though it's strong, it won't corrode the senses. The caustic bass bits are covered in an easy-to-swallow liquid caplet. Elements from Mike Keneally Band are also brought into the blend. It's weird how this piece gradually evolves then gets quickly extinguished. This is most like Come What May from NDV's Karma. Here we get to hear Nick sing the high parts. His voice unfurls and inflates to fill the expansive orchestrations that come at the end. It's like Onomatopoeia on performance enhancers. Without getting overly out of control, it borders on Megadeath's Breadline. There are several wild bridges and breakouts. They even seem to work in some disco. This is one suave song and again it's another substantial demonstration of their newly discovered skills in the songwriting department. They couldn't have opened the album with a better song. Likewise, they couldn't have come up with a better selection to end it. The battle for good music ensues each day. Without the man they once called their champion, Spock's Beard momentarily became an underdog. They quickly returned to duty and gave a respectable showing.